Can we talk about easy meal solutions here for a minute without judgment? Sometimes life is not simple and easy; I know our lives aren’t. It seems that when I think I got it down pack, I can’t seem to get slow down for a minute. 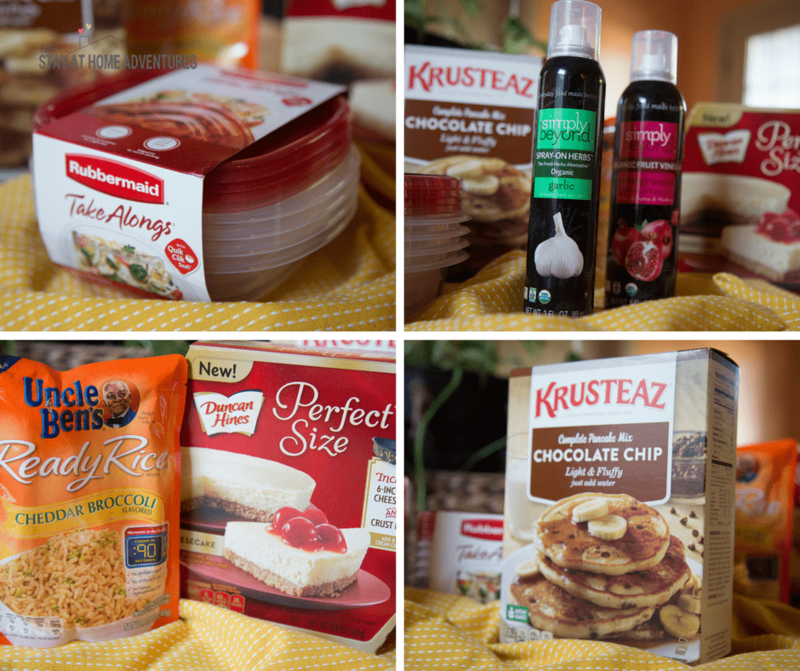 Let’s be here for a minute and talk about finding easy meal solutions for our family. We want the best for our families, and sometimes it just doesn’t happen. Nothing is like people dream because hey, its life! And the perception of enjoying a homemade dinner while sitting around the perfect dining room table with well-behaved kids that will eat everything on their plate doesn’t exist. Creating a meal for a family on a busy day can be stressful, and you are not alone there. This is the reason I wanted to go over tips full of easy meal solutions to help you out. Sometimes knowing that we are busy, we tend to overthink things too much. Trying to create an easy meal can be too much for some of us. We tend to think things over and make things complicated when in reality is not. Stick to a simple recipe that will work for you and your family. That’s it! No need to spend time in the kitchen creating a meal when you are busy, just find a fast and easy meal that will get the job done and that’s it! Creating a weekly meal plan is one of the best easy meal solutions for everyone. You know what to prepare, you know what day it’s going to be busy, and it prepares you when an easy meal is needed. Menu planning helps you plan your meals in advance so you can avoid the guessing game and reduced your time in the kitchen trying to figure out what to make. Look for that easy recipe that will save you time and money in the kitchen. 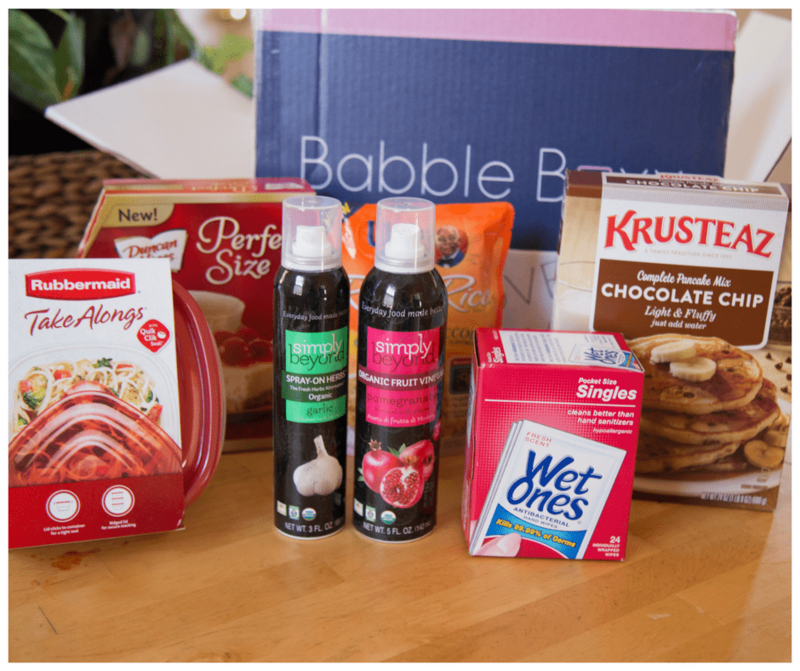 This is another solution to finding easy meals and its searching online for that perfect easy recipe and believe me there are PLENTY of recipes out there. Also, find an easy recipe with ingredients you already have in your home too! 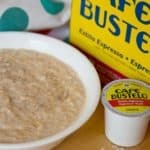 A solution to finding a meal can be found as simple as finding a microwave meal or an instant meal. Microwavable food makes the best easy meals and believe it or not are quite tasty too! When looking for some easy meal solutions, you don’t have to create it from scratch microwave meals can save the day. Believe me; no one is here to judge you. Pop that meal in the microwave, and you are good to go! Busy, prep your meal early! Grab your favorite containers start prepping your meals to save you time. Another easy meal solution you for you is to be creative and stop sticking to the same expectation. Why not enjoy breakfast for dinner instead of the typical dinner meal? Create meals that are easy to make is the goal so create them! 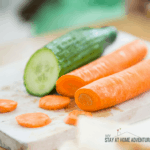 Stop following the norm and do easy meals that fun and your family will enjoy! I’ll be the first to admit that when I make meals I tend to go over with ingredients I mean Puerto Rican recipes just don’t have 1 ingredient and one seasoning. They don’t, and for that reason, I tend to stock up on ingredients that cut my time in the kitchen. A seasoning that can be added to my meal and make it taste delicious fast and easy is one of my favorite. There are seasoning packages available, or you could make your own that all you need to do is add it and that’s that. You have a tasty meal in a matter of seconds because you just added ONE THING! Try spray-on herbs on your next meal, and you are going to believe what I am saying! Products like Simply Beyond® Spray-on Herbs & Organic Fruit Vinegar might be what you are looking for. Let me just say that I was skeptical about “spraying” anything into my food, but I was dead wrong. The taste is amazing because with just a little spray my meal was flavored-pack. 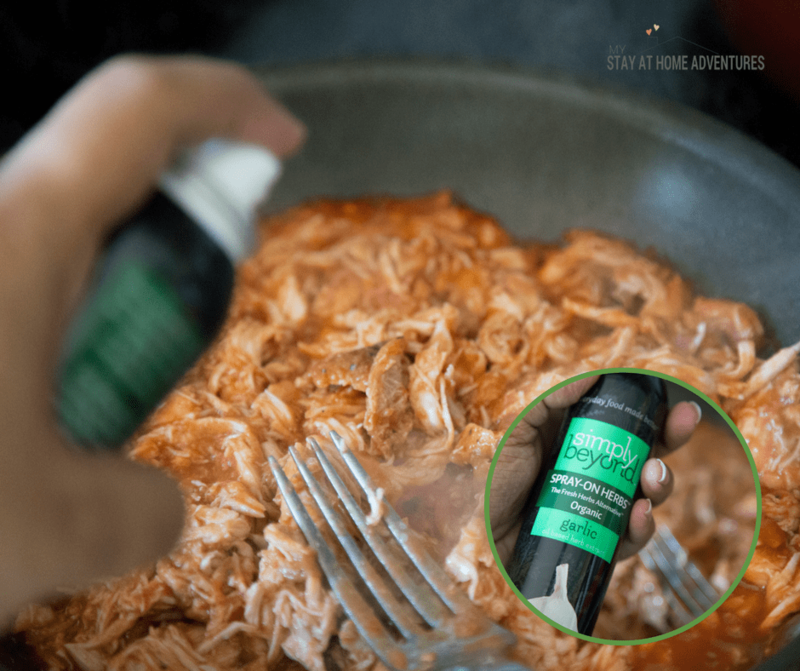 Simply Beyond® Spray-on Herbs & Organic Fruit Vinegar together makes a pure herb essential oil and it's mixed with a little Non-GMO organic canola oil base. The smell coming from these sprays is something you have to smell for yourself. It is natural and clean and so intense I am telling you I was very surprised at how much I love these products! This product is life-changing at least for me it was. You see you can spray them when you are grilling, on seafood, meat, vegetables, stew, I mean seriously just about anything. When on a rush we tend to leave the mess and clean it up for later which makes it worst. You come home tired and don’t feel like tackling the mess left due to dinner. 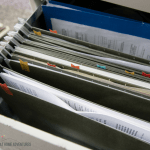 If you have followed the tips in this article, your level of messiness should be minimal. Clean as you go, use easy and simple cleaning methods and for your kids use Wet Ones® Antibacterial Hand Wipes and you are done. On a rush and if your kids are like mine they are germ magnets having Wet Ones® Antibacterial Wipes kill 99.99% of germs, and I’m able to clean those little hands full of dirt and germs. Carrying these wipes with me and having them in my house is convenient for all of us in our family and it works for us. 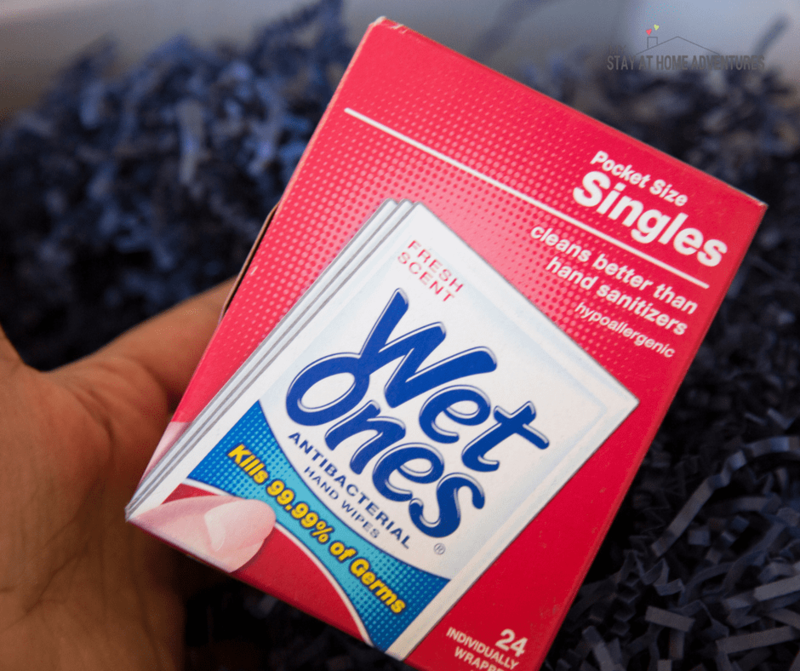 You see, Wet Ones® Antibacterial Hand Wipes are hypoallergenic and easy on the skin and I can take them with me everywhere I go. 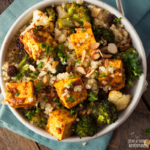 As you can see from these 8 tips, you will be able to find your solutions to creating easy meals for you and your family. Always plan ahead and keep things simple and realistic because instants meals are just lifesavers in some cases! 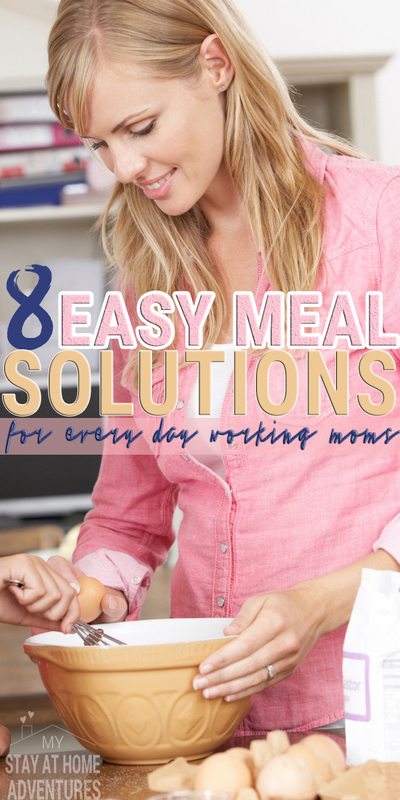 Your turn: You read easy meal solutions for working moms what are your tips and thought about this? Share it with us!